Sleek black with white features, it matches classic style with modern and elegant design, making a perfect accessory for nearly all outfits – whether you’re wearing a t-shirt and jeans or a sharp suit and tie. 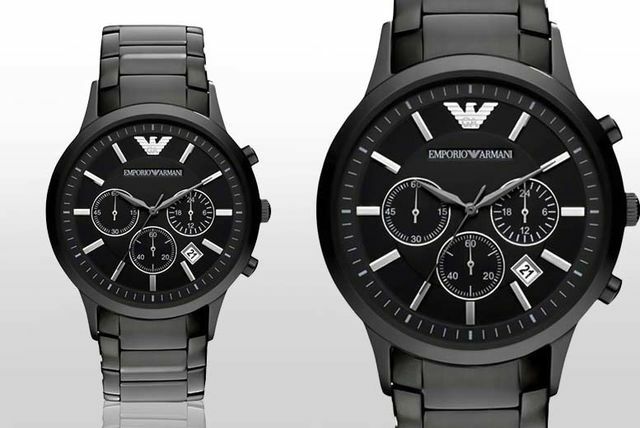 Get a stylish men’s Emporio Armani AR2453 watch. Elegant, modern design – the perfect watch for wearing day to day. Comes in a presentation box and watch cushion, makes a great gift!